For those of you who may be interested, I’m attaching a link to a sermon I delivered this morning (Sunday, May 27) in honor of Memorial Day. Some of you may get triggered by the sight of American Flags, but don’t worry – this is not an uber-nationalistic, overly-patriotic, American-Christianity-like sermon. So chill. Then, towards the end of the sermon, I’d like for you to take special note of the “Battle Cry” I read. All of us should be able to stand and recite it. May God bless and keep you this holiday weekend. God bless those who serve and the families who wait for them. To all those who’ve fought for our freedom, we salute you. To those who have fallen, we will remember. Today is the day on which we Americans pause to remember and honor those who have fought and died for our country. We also honor those who have served and are serving. Unfortunately, most people use this day to only focus on the celebration aspect of the holiday, not the memorial. But had it not been for those men and women who bled in the trenches and fell from the sky, there might not be a place to hold a barbecue. We celebrate because we are free, but that freedom came with a price. Last year at this time I visited Washington, D.C.. with my family, and one can’t visit D.C. without going to the memorials, especially on Memorial Day. It had been a long time since the last time I was here, and new monuments to the fallen had been erected. One of them, which is probably the most impressive, is the World War 2 Memorial. I took my time exploring it. Each star represents 100 who died in the war to defeat the Axis powers. Did you get that? 1 star = 100 dead. On this day let us pause and remember the lives sacrificed so that we (and the world) might live in freedom. Remember also that those stars represent mothers and fathers, husbands and wives, and scores of children whose loss purchased our gain. 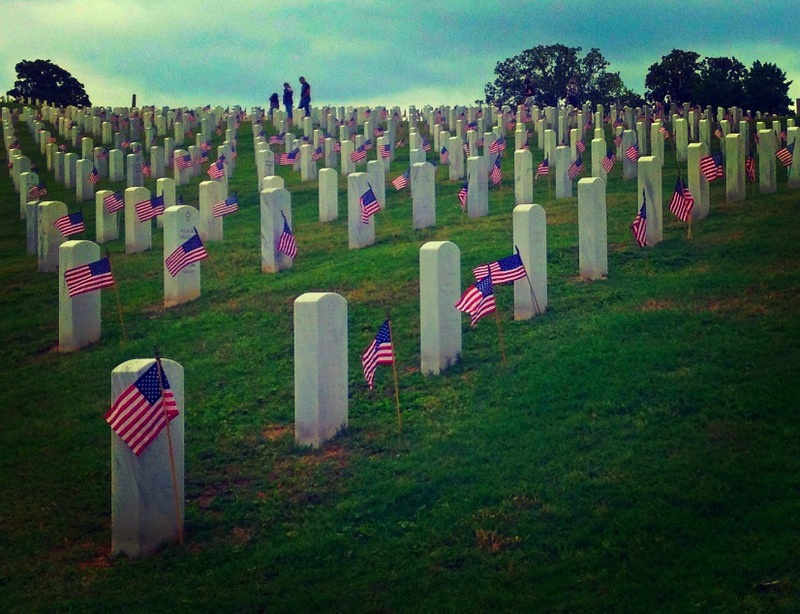 Unfortunatly, most people use this day to only focus on the celebration aspect of the holiday, not the memorial. But had it not been for those men and women who bled in the trenches and fell from the sky, there might not be a place to hold a barbecue. We celebrate because we are free, but that freedom came with a price. Over the past week I’ve been visiting Washington, D.C.. with my family, and one can’t visit D.C. without going to the memorials. It has been a long time since the last time I was here, and new monuments to the fallen have been erected. One of them, which is probably the most impressive, is the World War 2 Memorial, and I took a little while to explore it. One place at the WW2 Memorial is pictured below. It shows gold stars on a wall above a reflective pool. Each star represents 100 who died in the war to defeat the Axis powers. Whatever I want to say, I can say it. Wherever I want to go, I can go. However I want to worship, I can worship. Whatever I want to write, I can write it. The most basic of human liberty. But the freedom I have wasn’t free. I have noticed that a lot of folks are already posting things about Memorial Day, so I thought I would go ahead and do the same. The following post was first published last year, but it’s worth sharing once more. I’m even going to get Katie to sing the song tomorrow at church. Several years ago, just after the second gulf conflict broke out, the town I was living in lost its first son. On December 30, 2006, Sgt. John Michael Sullivan was killed by a roadside bomb. Only 22, he left behind a wife and baby who was born the day after Sgt. Sullivan died. I will never forget the visitation at the funeral home. Soldiers stood guard at each end of Sgt. Sullivan’s casket. One soldier was a West Point cadet. Every thirty minutes they would rotate out, similar to the way the guard is changed at the Tomb of the Unknown in Arlington. The honor and respect was palpable. 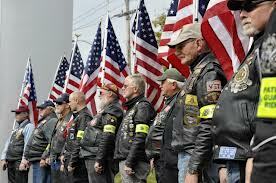 Folks in the southern United States don’t take kindly to disrespect – especially at the funeral of a fallen soldier. Sgt. Sullivan died while taking a friend’s place on patrol, which made him a genuine hero. He was a local boy. So, when it was rumored that protesters from Westboro Baptist Church were going to be protesting, blood began to boil. Standing guard outside the funeral home, standing shoulder-to-shoulder, were motorcyclists (over 200 hundred of them) holding American flags. They lined the street and sidewalks as far as anyone could see. Each one, wearing leather vests, seemed as tough as the Harleys they rode. Westboro never showed up. They must have gotten word. Some people talk a big talk, but never walk the walk. Some people brag about what they would do in a given situation, such as combat, but never volunteer to prove it. But as Sgt. Sullivan lay there in his casket, no words were needed; his sacrifice proved his courage – and love. Scripture says, “Greater love hath no man than this, that a man lay down his life for his friends” (John 15:13). Others may say they love their friends, but the silent soldier in front of me didn’t have to say a word. As I paid my respects, it struck me how this young man had essentially given his life for me, a stranger. Like so many other men and women we remember on Memorial Day, Sgt. Sullivan willingly took another’s place. He did what we could not. The emotion I felt that day led me to write a song in Sgt. Sullivan’s honor. But it also honors of the One who gave His life so that we could be eternally free. Here is “No Greater Love” as sung by my daughter, Katie (we just recorded it on the iPhone, so forgive the low quality). (Note: Unfortunately, when I wrote the song, I didn’t know Sgt. Sullivan was actually 22. However, his mother, after hearing the song, told me it was OK.).